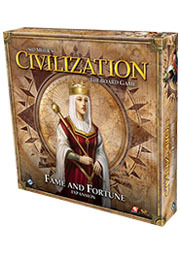 Master the world with the Fame and Fortune expansion for Sid Meier’s Civilization: The Board Game! 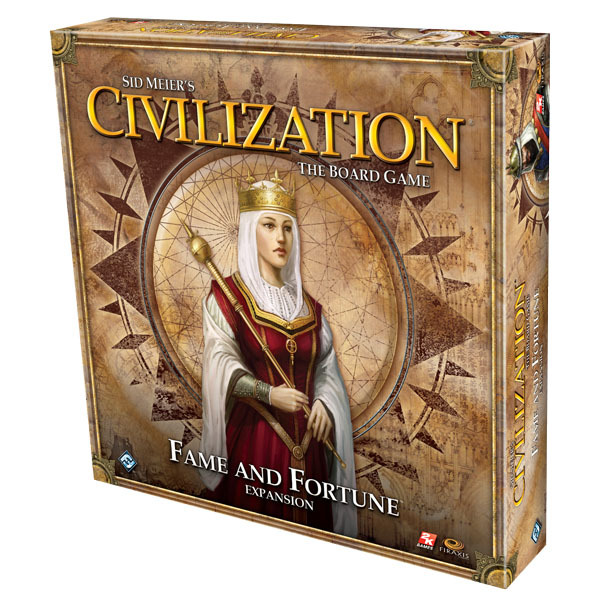 With exciting new game options, new map tiles, and components for a fifth player, Fame and Fortune will raise your civilization to remarkable new heights. 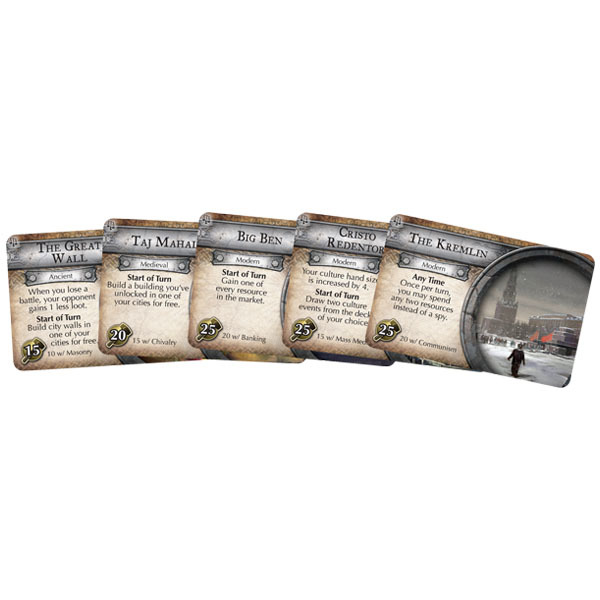 Great person cards provide the powerful assistance of great historical figures such as Marco Polo, Hannibal, and a host of others. 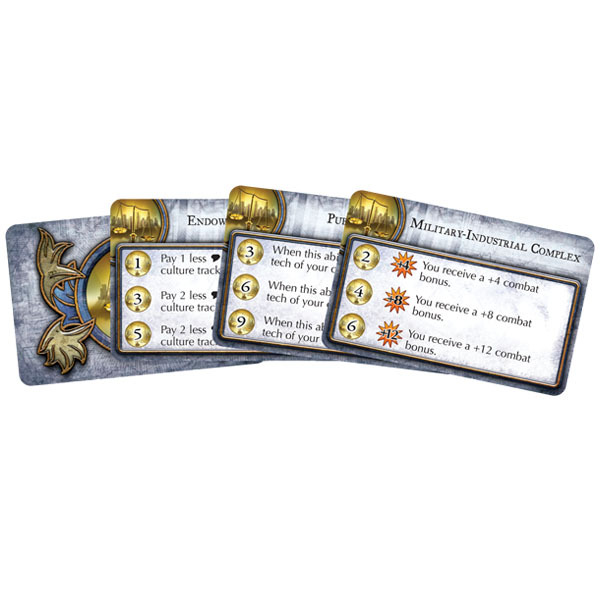 Investment cards allow you to spend your hard-earned coin to reap lasting benefits. 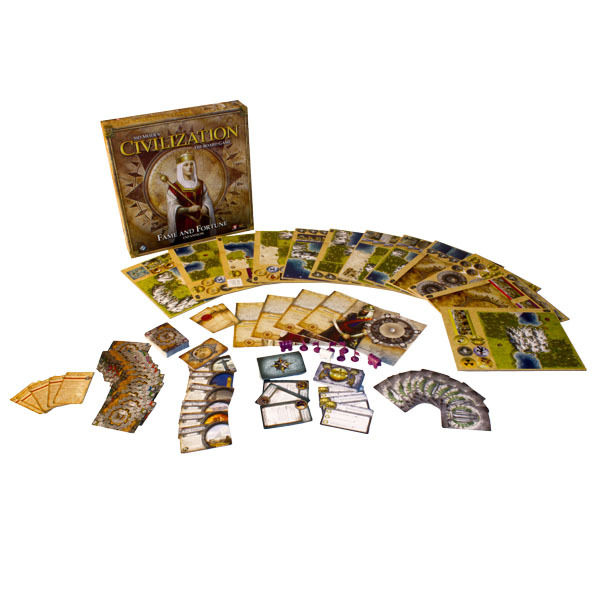 Discover ancient relics, expand your capital into a metropolis, and bolster your cities with temporary fortifications or trade caravans to edge out your rivals. 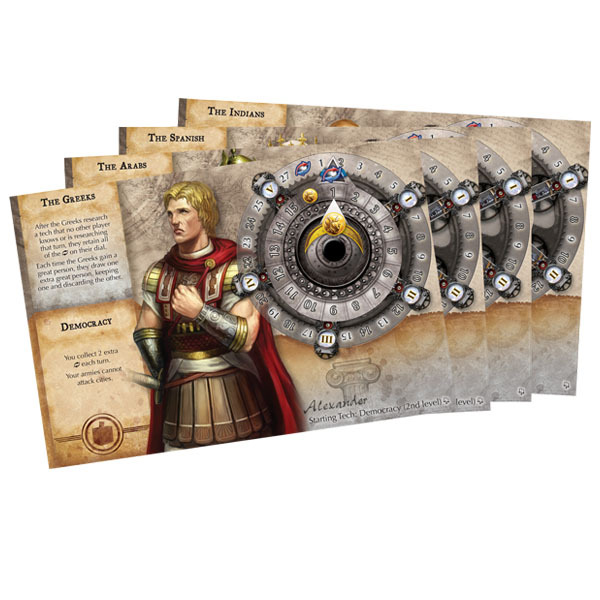 The time has come to guide your people to greatness!